FEBC International’s Engineering Service Team (EST) is a small and focused group of Broadcast Engineering professionals who come along side FEBC’s member fields to assist them in solving technical problems, planning for the future, preparing project plans and working hand in hand with national staff to increase their engineering capacity. The current team members have a total of decades of engineering experience and broadcast savvy. In this post I would like to introduce two of the team members, Vaughan and Owen. Vaughan, in the picture at left with technical staff from FEBC Philippines has years of training and experience in the core digital infrastructure and software required to support major broadcast ministry operations. He covers a broad area of IT expertise including switching, digital storage servers, firewalls, routers and playout automation software including all the various supporting bits and user software for recording and audio processing. He also assists fields in analyzing their ability to recover from major disasters like fire, earthquake, volcano events and typhoons. In this day and age, where everything about the business of broadcast is digitized, having a plan to backup and be able to restore key assets from program audio files to financial records after a disaster is important. The need is high for FEBC compared to many of you since a lot of our stations are deployed around the “ring of fire” in the pacific where earthquakes, tsunami, and volcanic disasters are much more common. Owen, at left with Voice of Love Chief Engineer Pagnan, hails from New Zealand. He is approaching 30 years of service with FEBC and brings serious expertise in broadcast structures to FEBC. He worked many years as a rigger on our major shortwave site in Saipan and brings that experience with towers, guy systems and antennas to the team. He is also very capable as a broadcast technician and assists our fields who have difficulty finding engineering talent by evaluating their facilities and providing advice on steps to take to repair and maintain their broadcast facilities and equipment. He also spends a lot of time literally on the road measuring signal quality and coverage of FEBC’s many local FM stations. The equipment needed to do drive testing is something that individual stations can’t afford, but FEBC, as a virtual network, has network level engineering and equipment resources that our fields can use. These resources are found in and held by the Engineering Service Team so that all of our fields can take advantage of them. I traveled to Bankok in July for a week with two purposes. My major purpose was to continue to encourage our FEBC Thailand staff, especially new interim Field Director Noppakhun as they all continue to work through the difficult transition to new leadership. The staff have their hands full creating, distributing and following up with listeners in the 17 languages that are under their care. It is a two part ministry that reaches across boarders by Shortwave to bring the good news to Transnational Ethnic Tribal people and also works to reach the country in the Thai and Isaan languages via local FM. All of the languages have programming available to computers and smart phones via audio on demand through phone apps. In Asia, especially to reach the younger generation, programming that is available via smart phone on the web is definitely required. FEBC Fields are pushing into this new technology area all the time especially in countries like like the Philippines where half of the population is less than 24 years old. It is shocking how many young people are in Asia, you can see the Rankings of countries by average population age. I arrived ahead of the Executive Committee (Excomm) meeting of FEBC International to continue the work I started in June of organizing financial reports and requests for funding for FEBC Thailand so that the Director would be ready to present to his major funding fields, most of whom are also Excomm members. Director Noppakhun prepared a presentation to the Excomm describing the changes he was implementing and the scope and plans for the year of FEBC Thailand’s ministry. The proposed budget required to execute the plans was presented and funding commitments were received from the Excomm that will cover the ministry activity in Thailand for the new fiscal year. My job at the Excomm meeting is to take notes and assist IC Chair Ed Cannon in facilitating the discussion. I also liaise with the local field staff to ensure things like lunch, the flip charts and other nuts and bolts needs for the meeting are procured and ready. Acting as executive assistant to the Excomm is one of the key parts of my job as International Service Coordinator. Many of the action items from Excomm meetings will involve the International Service Team, especially my administrative staff. Many of the most important issues discussed are confidential, so having the ISC as the note taker limits the number of non-essential staff who need to be involved in the private business of the Association. I had a very satisfying and encouraging visit with the leadership staff of Voice of Love (FEBC) Cambodia in mid- June. There were a number of action items as part of the visit. My main goal was to continue in person a review of their progress against strategic plan goals that I had been working on via email with Field Director Makara. The strategic plan is aggressive and calls for reaching each locality of Cambodia with the Gospel of Jesus Christ. They have made significant progress over the last 18 months. To reach all of Cambodia a combination of media channels including radio, player boxes, streaming audio, audio on demand, social media and staff visits will be needed. In the coming months pray as the team seeks to expand their listener base through upgrade of a translator station in Kampong Thom, expanded player box distribution and an experimental effort to recruit new listeners to our on line platforms in several provincial cities. In addition to the strategic plan review, I took the opportunity to train and work hand in hand with the management team on some basic project management skills in order to encourage deeper planning discipline and a more organized approach. This kind of short teaching combined with side by side work/coaching provides groundwork and practice in skills along with making progress in planning out areas of strategy that have not yet received a deep review. Most organizations are able to execute project work and day to day operations but are challenged to do a good job of project definition. I encourage the question “what will this look like/include when it is done?” Training in the discipline of creating a work breakdown structure puts a tool for good definition in the hands of the staff. Teaching, coaching, encouraging and reinforcing all lead to slow steady uptake of business skills. This is one of the ways that I can add value to our project and strategic planning processes and the ability of our field staff to use them. In addition to the work with strategic planning and coaching in planning methods I was able to work on the details of the Kampong Thom project and also did my part to hold another Amateur Radio Exam Session at National Polytechnic Institute of Cambodia. We had an NPIC teach pass the test as a new technician class ham. Talas, Kyrgyzstan is the location of FEBC’s newest FM station. Thanks to the all our partners. Now your ministry reaches to the depth of Kyrgyzstan, TALAS. This region is very difficult and spiritually tense. There till now, there is shamanism, occultism, sacrifice for the spirits of dead people. Islam is spreading in the same place, and now the Truth of the Gospel will come there. FEBC’s fourth station in Kyrgyzstan has officially been launched in the city of Talas, an important regional hub in the northwestern part of the country. The new station is set to reach a potential 250,000 people. This is the fourth station of six in a plan to spread the gospel via radio through all of Kyrgyzstan. The new station will be led by Rev. Ulanbek Karypov, a Talas local. During a recent visit to Talas, Rev. Karypov met with some old friends to share the gospel and talk about FEBC’s goals for the new FM station. Guy and the rest of the Engineering Service Team have enjoyed their technical consulting role and their role in assisting with major purchases for the station expansion in Kyrgyzstan. The work they do, though vital to a well built station, isn’t something that regular people, even those who work in the studio will see. But the local engineer and the EST know what it takes to get a strong signal to people who need to hear about Jesus. As each person shares their faith, love for the Lord and God given skills the Kingdom grows. More info on FEBC’s Impact in Kyrgyzstan. With the retirement of the former director of FEBC Thailand your prayer support becomes critical. Transitions in leadership are always a challenge and give our enemy a chance to oppose the ministry. Please pray for new FEBC Thailand field director Noppakhun as he works to encourage the staff, stabilize funding and keep the many Transnational Ethnic Tribal Language broadcasts that he supervises going strong. With your prayers and financial support behind me we are able to make a consistent effort to provide business advice, consulting, organizational help and especially friendship and encouragement to Noppakhun Prasobkiatkit the new Field Director of FEBC Thailand. It is an understatement to call this a bumpy transition and continued support including my presence physically and via today’s modern communication channels is making a difference. Nopp has a spectrum of problems to deal with urgently including encouraging the staff, growing the field’s financial support base, maintaining tribal language production in 16 different languages and meeting all the many partners of FEBC Thailand who he is expected to work with. Nopp, a tribal ethnic language producer within FEBC Thailand for a number of years, is the best choice to ensure the ministry moves forward, but he faces a steep learning curve. FEBC International with your help has committed my help in providing business coaching, financial review and support, assistance with funding proposals and liaison with other funding partners that support the ministry. 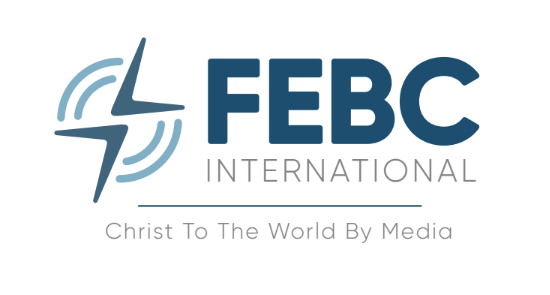 In conjunction with Ed Cannon, FEBC USA President and FEBC International Chairman and Kevin Keegan, President of FEBC Australia and FEBC International Executive Committee point of contact for this work, I am spending a lot of time and travel making sure that this ministry continues strong. It is going to be a regular travel destination for me over the next few months. I had just started to walk into the men’s room (hopefully) near my departure gate at the airport in Yangon, Myanmar. After checking the signage and seeing fairly identifiable male/female outlines I turn to the men’s side and freeze in my tracks. There is a young woman coming out of what I thought was the men’s room! I back up, take a look towards the signage and realize that I am seeing her reflection in the newly cleaned mirror of my bathroom while she is walking out behind me from hers. Probably she is wondering why I am backing up and looking panicked. As I head on in to what actually is my side it occurred to me that I have had or heard of a lot of funny things that have happened around the issue of bathrooms in other cultures and places over the last 20 years of international ministry. I won’t be delving into the ones involving TMI – too much information, and will keep in mind that there are things you cannot simply Un-see even in imagination. My first though was of an evening outing about 8-10 years ago to see Carmen performed in Ulaanbator, Mongolia. I went with the able coaching and assistance of David and Jan Bayliss who were residing in the city while working with Field Director Batjargal and the staff of FEBC, Mongolia. I headed for the bathroom while David and Jan held onto our seats. I kept wondering if I was going the right way as I went down a hall and then down a couple of ramps, not unlike trying to get out of a major football stadium. I was the only one going down and one after another small groups of ladies kept streaming up the ramp towards me. As I approached the sinks, I am still the only guy, till one finally walks out from the left row of “cubicles” and I realize its only those that are separated between the two half’s of the bathroom area and the sinks are shared. The opera was excellent, but it was my first time and I was confused. “It’s never over till the fat lady sings” is the old adage in the USA, but there weren’t any thin ladies singing at all. I had to depend on Jan to let me know when it was over. Like every other aspect of life, those who don’t travel to foreign places think there is only one right way to build a bathroom, a toilet, to “clean up”, and then when you travel you find out that there are several broadly followed plans: the outhouse, the toilet, and the squatty potty. “Cleaning up” is TMI. Even the toilet itself, the ones embodying the phrase “porcelain throne” have different idiosyncrasies in different places. In Japan, they want everyone to be happy with the facilities and are sticklers for getting every detail right. That’s why we all love the cars they design. In Tokyo airport, you can pick between the squatty, the regular toilet and the one with all the bells and whistles. The fancy electronic toilets have heated seats built in water sprays that are adjustable for pattern, angle and temperature to aid the cleanup process and come with somewhat elaborate buttons and controls on an arm to the side. One thing they almost never include, however, is english subtitles for the oriental language deemed proper at any particular location the toilet is installed. Chris saved me from failing with these new gadgets by having a troubling experience in the electronic toilet in the airport at Narita, Japan. She couldn’t figure out how to make it flush. She tried the controls, could spray water around and even get it to make incredibly loud, realistic flushing noises, but no flush. When I had the same problem at FEBC Korea, I immediately assumed she had tried all the controls and after some thought took a look at the bigger picture. There, just as you might expect on a regular toilet was a flush lever, manual style, above all the fancy controls on the control arm on the toilet tank. So after messing with all the controls in your jet-lag induced state of mind, remember my blog post and look for the flush lever as usual. Or read the instructions. What happens back home when I am away? My first hope is that all of you are praying for Chris, and if you are local friends, helping her out! My other hope when traveling in the spring is that the snow falls and then melts to get it out of the way before I come back. After over 15 years living in the tropics I say, “I am so done with snow!” The ICC trip in April kept to these “rules” with several snow events. Chris was not impressed. Where is James when you need him to shovel? In Georgia or Tennessee. Much too far to call home for a little work. Of course when dad gets back those same parties take a while to forgive for the long absence. Going on the trip is the easy part. With all the focused, intense work there isn’t much time or energy left to miss anything at the end of the day and the jet lag induced “fall asleep at 8pm whether you like it or not” state helps too. For Chris at home it’s very different. The routine of life makes the time pass slowly and the trip seem extra long. She is the one who really makes the sacrifice. I have two sayings about marriage, “it’s best to marry a saint”, and “it’s better to be lucky than smart.” We didn’t get married almost 34 years ago because we wanted to spend time apart. For ordinary purposes the travel schedule would be too much, but for a season, for the Lord Jesus, its a sacrifice we can make. And it’s very nice to be back home.